The UK’s team of five experts was due to arrive in Jakarta this evening to begin work on helping to co-ordinate the international response to the Indonesian earthquake and tsunami. An extra humanitarian expert from the UK has deployed today to provide further support. The UK team will look to go to affected areas, including Palu, where they will assess the ongoing situation and make decisions on whether further support is required. International Development Secretary Penny Mordaunt yesterday made an initial £2 million of UK aid available to support immediate needs and relief efforts. In addition, UK aid is already supporting relief efforts through our core funding to the International Federation of Red Cross and Red Crescent Societies (IFRC). 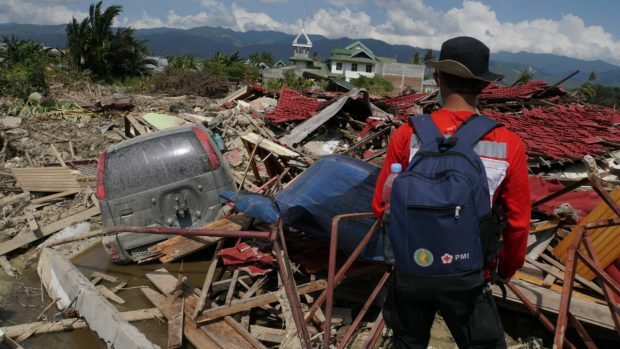 The Indonesian Red Cross and the IFRC has 175 specialist volunteers and staff carrying out search and rescue missions and is also delivering relief items on the ground. This includes sending blankets, sleeping mats, jerry cans to transport water and 15 ambulances to the worst-affected areas. The Government of Indonesia is leading the response and we will continue to work closely with them and other partners to ensure a coordinated response in priority areas. UK aid stands ready to assist 24/7. The UK's Department For International Development is also supporting the response through our core funding to UN and the Red Cross Movement, including to the Central Emergency Relief Fund. It provides £73 million in core funding per year to the Red Cross Movement. This constitutes £63 million to the International Committee of the Red Cross, £9 million to the International Federation of Red Cross and Red Crescent Societies and £1 million to the British Red Cross. Our core funding is unearmarked and can be used flexibly for rapid responses. The UK is also, as an EU member state, contributing funding to ECHO (European Civil Protection and Humanitarian Aid Operations), which has allocated EUR 1.5m to the relief effort. There was mainstream broadcast coverage yesterday and today of the UK's role in the relief effort, including on BBC News and Sky News. Print and online newspaper coverage this morning, included The Daily Telegraph, Mail Online, Daily Express, Daily Mirror and The Sun, which referenced the UK aid's package of £2 million and deployment of five humanitarian experts. This morning there were several related report on BBC One Breakfast that focused on the situation on the ground in the city of Palu and noted the UK government’s £2 million of aid to support relief efforts. The 0700 bulletin included a clipped interview with Secretary of State recorded last night, in which she said that the UK is providing additional aid funding to help those in immediate need.